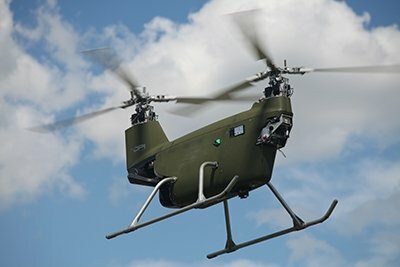 Products | Dragonfly Pictures, Inc.
DPI is the industry leader in small, rotary-wing unmanned aerial vehicles (UAV) in the U.S. Our UAV have successfully flown thousands of hours, are military-proven, and now available for industry. With world-class engineering test and integration services, DPI is also uniquely suited to integrate advanced, intelligent, cutting-edge payloads onto UAV. DPI offers a family of advanced UAV that range from microUAV designed for precision photography, to tandem aerial resupply UAV capable of 400+ lbs payload. Our UAV are fast, agile, transportable, and autonomous VTOL aircraft — no runway or recovery equipment required. Small and powerful, they are designed to fly in real-world flight conditions, operate in complex terrain, and self-launch / self land in unprepared sites, such as small clearings, fallow fields, icy roads, even the bed of their own transport (such as a pick-up truck or utility trailer). DPI can recommend and integrate onto the UAV many cost-effective payloads with cutting edge capabilities and advanced technologies appropriate for your application. DPI tandem UAVs provide a wide center of gravity envelope (CE), high payload capacities, and multiple hard points that can carry multiple payloads in multiple configurations. We can make sure your payloads are integrated onto your choice of UAV with the precision, shielding, and dampening necessary for effective application in rugged, austere, and/or complex environments.